The Application Forms will be issued from 13-11-2017 to 16-11-2017 at the Office of the Principal, Assam Medical College, Dibrugarh / Gauhati Medical College, Guwahati / Silchar Medical College, Silchar / Jorhat Medical College, Jorhat / Fakhruddin Ali Ahmed Medical College, Barpeta / Tezpur Medical College, Tezpur/Regional College of Nursing, Guwahati on deposition of a non-refundable amount of Rs. 50/- (Rupees Fifty only) in the form of Bank Draft/Banker’s Cheque drawn in favour of “Srimanta Sankaradeva University of Health Sciences” payable at “SBI, GMC Branch, Guwahati” during office hours. The last date of submission of filled in Application Form is 16.11.2017 (up to 4:00 PM). Application received after closing date and time shall not be considered under any circumstances.Applicants are to keep their Application Form No. with them to download the Admit Card from the University Website. 1/ Candidates/Applicant must be Female Candidate. 3/ Candidates must be permanent residents of Assam and must furnish a certificate to this effect. 4/ The provision of Permanent Resident Certificate shall not be applicable to the wife/daughters of the employees of the Govt, of Assam. 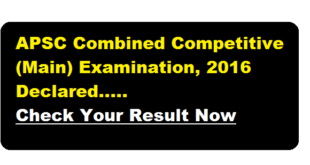 5/ The minimum educational qualification for selection of the candidates is HSSLC (10+2) (Science) or its Equivalent Examination passed from a recognized Board/Council/University with English as one of the subjects and securing at least 45% marks in aggregate in Physics, Chemistry and Biology (PCB) for General (Unreserved) Category candidates and 40% marks for candidates belonging to SC/ST(P)/ST(H) category. 6/ Age Limit: Candidates must be within the age limit of 17 to 24 years as on 1st January of the year of Admission. 7/ The Upper age limit for SC/ST candidates will be as per existing Govt, procedure. An Examination Fee of Rs 1000/- (Rupees One thousand only) will have to be paid at the time of submission of Application Form in the form of Bank Draft/Banker’s Cheque drawn in favour of “Srimanta Sankaradeva University of Health Sciences” payable at “SBI, GMC Branch, Guwahati”. No Account Payee Cheque will be accepted. a) The Entrance Examination shall be held on 26th November, 2017 at Guwahati, Dibrugarh, Silchar, Jorhat, Barpeta and Tezpur for Selection of Candidates for Admission into GNM Course in the GNM Training Schools under the Govt, of Assam which will be conducted by Srimanta Sankaradeva University of Health Sciences. b)Admit Cards will be available in the University website http://www.ssuhs.in from 23rd November, 2017 to 26th November, 2017.
c) Candidates are requested to download the Admit Cards entering their Name and Application Form No. d) No separate hard copy of the Admit Cards will be issued from the University. e)The Examination shall be for 150 marks. f) There will be 50 questions from each of the subjects of Physics, Chemistry and Biology with 1 mark for each question. There shall be no negative marking for wrong answers. Unanswered questions shall be awarded zero marks. g) There will be 1 (one) paper consisting of Physics, Chemistry and Biology questions. h) Date & Time of Examination: 26th November, 2017, Sunday (10 AM to 1 PM ). i) The question papers shall be of 10+2 standard and shall consist of 150 questions (50 questions from Physics, 50 questions from Chemistry and 50 questions from Biology). j) The questions will be in both English and Assamese language. However, the candidates will be required to fill in the OMR Sheet of the Entrance Examination in English only. 1/ The Merit list shall be prepared based on the total marks obtained by each candidate in the Entrance Examination in all the subjects i.e. Physics, Chemistry & Biology. a) Candidates securing more marks in Biology in the Entrance Examination. b) Candidates securing more marks in Chemistry in the Entrance Examination. 3/Candidates who submit application along with Banker’s Cheque/Bank Draft will be eligible to get admit card for appearing in the examination. Account Payee Cheques will not be accepted. 4/ Any information given by the applicant if found to be false, incomplete or any ineligibility criteria detected at any stage later on shall make her disqualified from the entrance examination with all its associated consequences. Total nos of students to be admitted in gnm 2017 by Adam govt. Please let me know the institution wise nos of seat allotted to govt institutions of Assam for 2017-18 as notified by Ssuhs. We will notify as soon as we get info !! 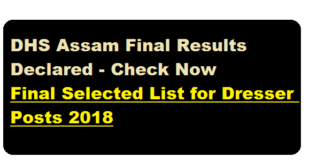 Do visit these two links http://ssuhs.in/ and http://dmeassam.gov.in/ for any official updates regarding GNM Counselling and selection. Dear Upashana, we don’t have exact info regarding GNM application for 2018-19. But it will probably come out in october or november. Keep Visiting our site; we will update once we get info. Sir 2018_19 gnm course ulabo na???? Nissoi Ulabo….Most Probably October-November t….So keep visiting our site. Most probably the GNM Admission 2018-19 Session notification will come around October – November . 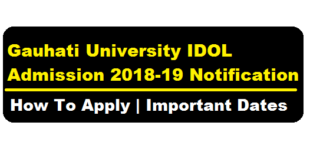 Sir, 2018-19 gnm nursingr admission list ketia dibo… counselling jabo 1 month a hol sun… nidiye neki admission list pls reply! Sir, 2018-19 gnm nursingr admission list ketia dibo? counselling jabo 1 month a hol sun… nidiye neki admission list pls reply sir!